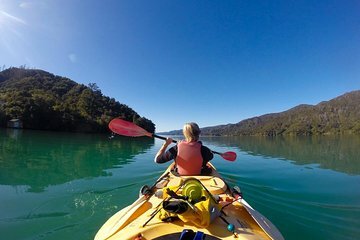 Paddle around Queen Charlotte Sound on a full-day guided sea kayaking tour. You’ll set off through native bush from Anakiwa and stop at a secluded beach for a picnic lunch. Get a look at the marine life of the Marlborough Sounds on this small-group tour, which provides a personalized experience.